Amanda McGinnis. Amanda (of “Console to Closet”) teaches you how to dress like your favorite video game characters. Emily Cohen. Emily talks Star Wars and the Expanded Universe. Joe Homes. Joe gets theoretical while talking about concepts presented in geek movies/literature. Justin Hammond. Justin talks “Fiction Science” and applies science to interesting ideas/theories presented in fantasy/science fiction. Kaitlin Stewart. Kaitlin is adorable and informative in her geek fashion vlog. Mitch Hutts. Mitch is better known as the “Drunken Moogle” and will teach you how to make some fantastically geeky drinks. Rachael Berkey. Rachael encourages you to “Check out a Classic” and recommends some of her favorite classic books. Know of other awesome vloggers participating? Share them in the comments! 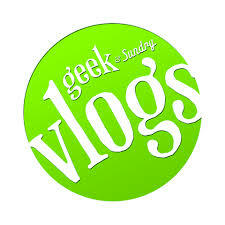 Help Me Become a Geek and Sundry Vlogger!